My goal is to help endurance athletes on their way to meet their personal targets. No matter if it means to finish the first half-marathon, mountain bike race of improve the personal best, it's the athlete who defines the goal and the only person who can reach it! I am here to provide support on this wonderful way. I have five years experience with coaching of athletes from my local sport club. The athletes are normally employed guys with families and thus limited time for sports; therefore it is always necessary to consult the details of the training plans and frequent changes due to unexpected events. In consecutive years, athletes show improvements from year to year. At the end of each sport season, together with an athlete I review the previous season's results and identify the learning potential for new season's plan. Then we discuss the next season goals as a basic input for new training plan. Frequent communication before and after training session and race event is my best practice. 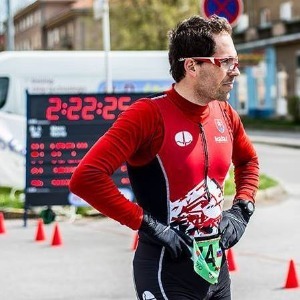 I have ten years experience with endurance running and MTB. I am regular participant of various race events: runs usually up to the distance of half-marathon, MTB cross-country races and short marathons up to 60 kilometers. I expect athletes to use the heart rate monitor and GPS device to record the training sessions. Success. Coach Martin Straka has been notified of your message.